You might remember my first time to Prospect Park back in May, and today we're back! This time, it's floral & opulence under the Grand Army Plaza arch. I fell in love with the beautiful array of colors in today's 40's/50's style dress - a unique mixture of yellow, red, green and minty aqua. 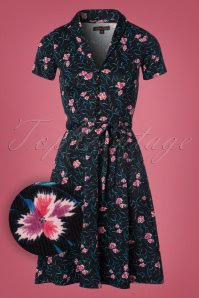 While bright mint feels right for sunny August, I feel that I could transition this frock into early fall with her dashes of mustard & warm red. 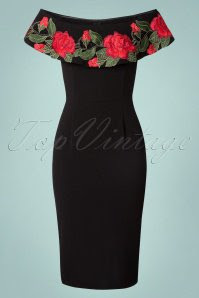 This particular dress is unfortunately sold out, but Top Vintage has plenty of other gorgeous floral dresses. I'm especially swooning over these... click on each for the links!